Tyre maintenance is extremely important for your safety whilst driving, in addition to the safety of others around you on the road. If your tyres are faulty, there’s a higher risk of your vehicle spinning out of control; particularly in poor weather conditions. Below, we’ve shared our top 3 tips that you should be following for effective tyre maintenance. Maintaining the correct pressure of your tyres is absolutely essential. Under or over inflated tyres can create huge risks to your safety due to incorrect contact with the road. In addition to this, under inflated tyres can also increase your fuel consumption fairly dramatically, meaning higher costs for you. You should check your tyre pressure at least every month. Read our previous blog post on the importance of maintaining correct tyre pressure to find out more. 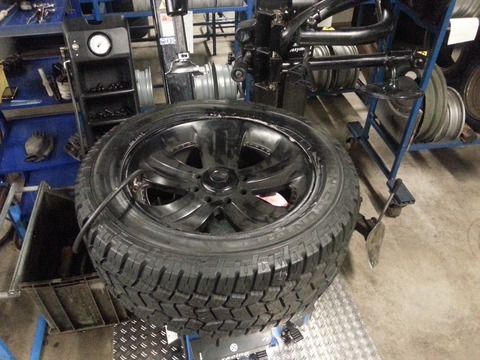 Tyre rotation is an important aspect of tyre maintenance due to the wear of tyres being very uneven. Your front tyres will carry a lot more of the weight of the car and they wear at twice the rate of your rear tyres. For an even wear of your tyres, you should rotate your tyres approximately every 8,000 – 10,000 kms. Your tyre tread depth helps to remove any water between your tyre and the road to prevent your vehicle from aquaplaning. Tyres wear over time and this can be sped up if you frequently brake harshly or the road surface is uneven. The minimum, legal tread depth in the UK is 1.6mm. For more tyre maintenance tips or if you’d like to have your vehicle serviced to ensure that your tyres are suitable and safe, get in touch with German Specialists Ltd. Give us a call on 0161 476 4422 or fill out our online contact form.